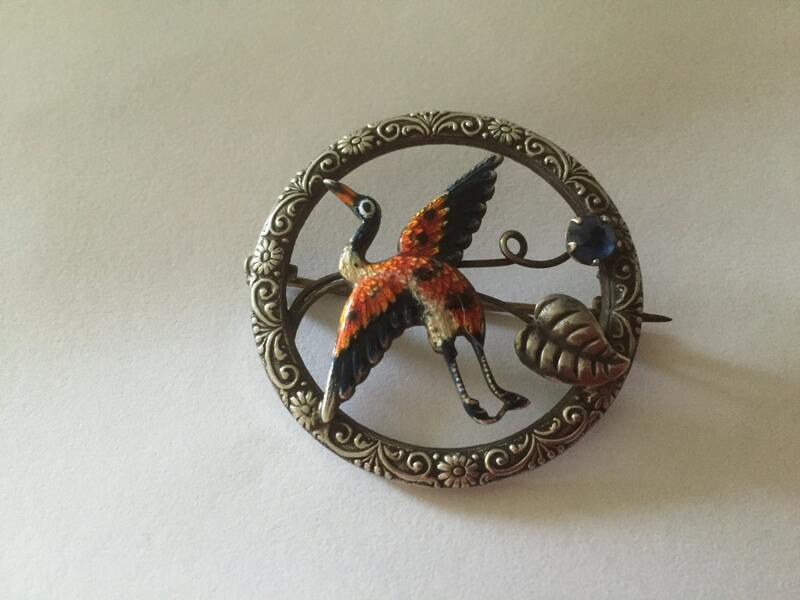 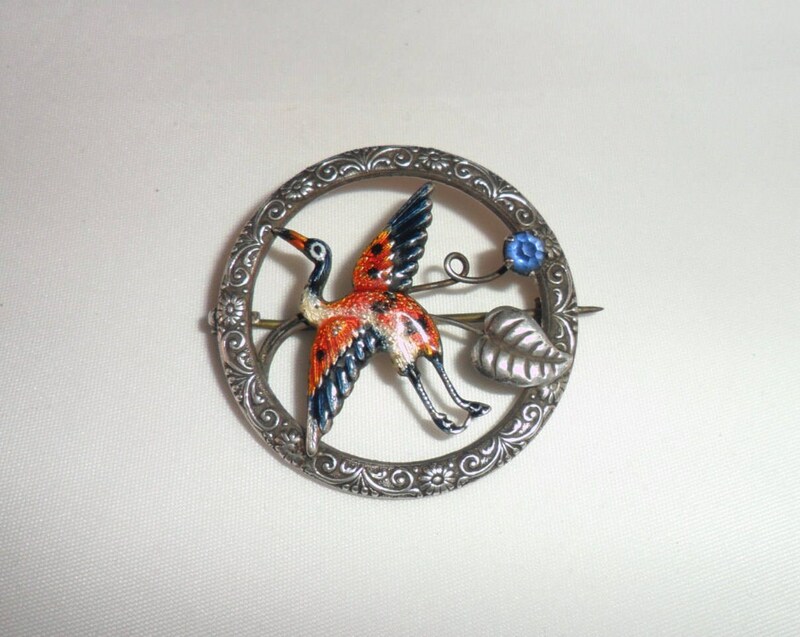 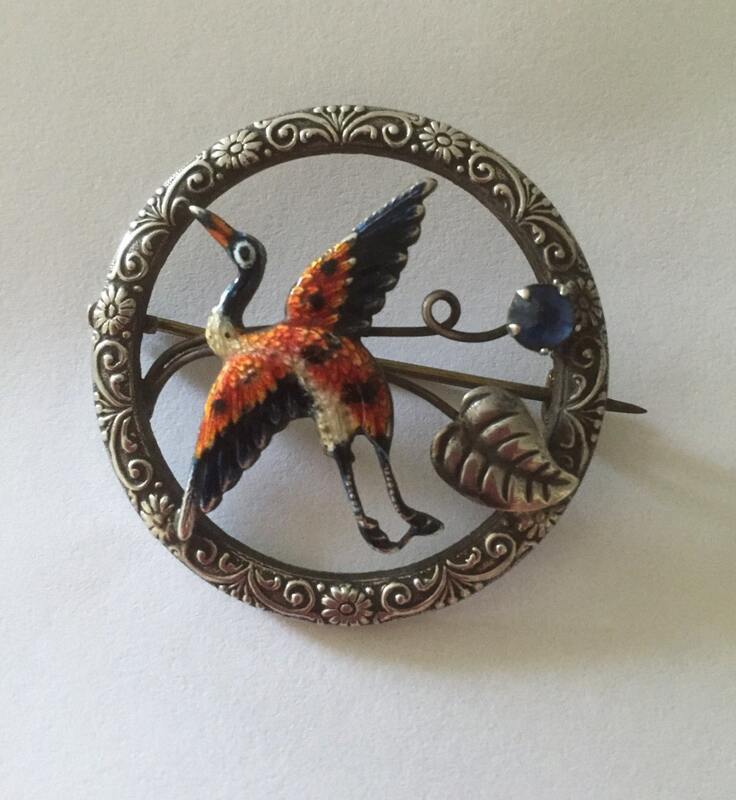 Rare Antique Victorian 925 Sterling Silver, Enamel and Paste Heron Brooch. 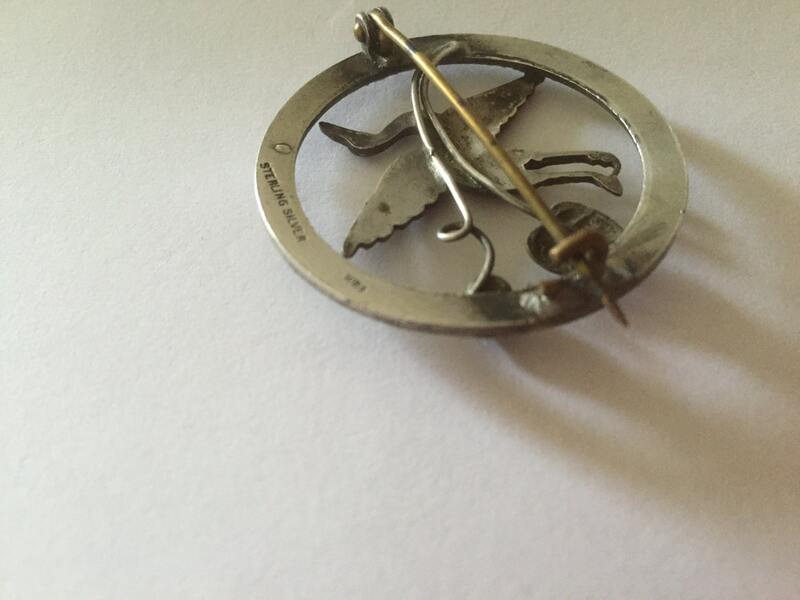 Slight wear to the tip of one wing. 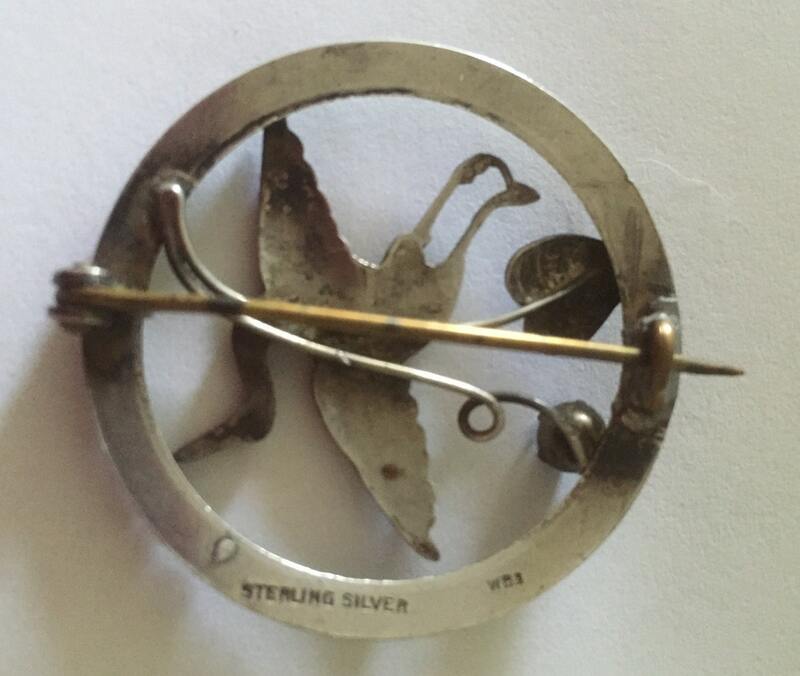 The pin catch looks to have been repaired sometime in its life.